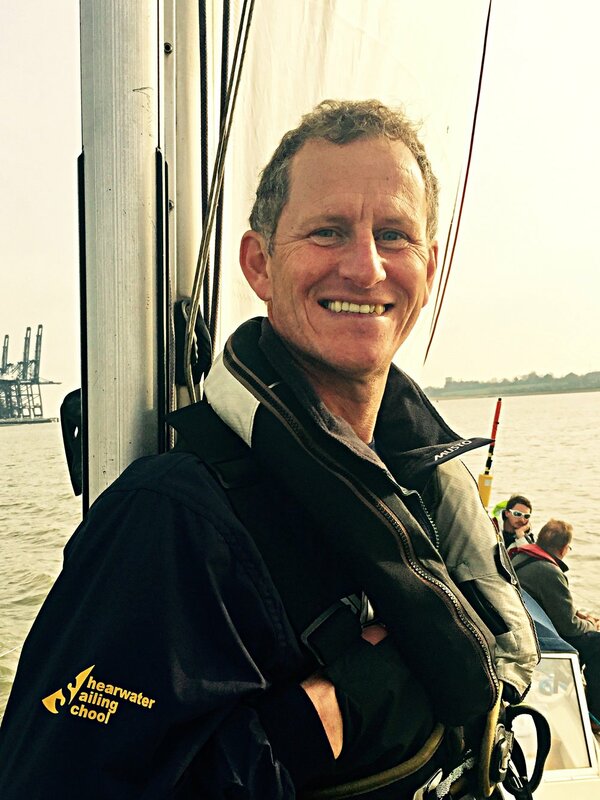 Mark is the Principal Yachtmaster Instructor at Shearwater Sailing School, and has over 45 years sailing experience, 11 of which was while serving in the Royal Marines. Mark has extensive yachting experience of the East Coast, North Sea, English Channel, Scotland and Ireland, Baltic, Scandinavia, Iberian Peninsula, The Mediterranean, Atlantic and Australia’s Southern Ocean. Mark is also a volunteer skipper for Adventures Offshore, a sail training charity for young people. Adventures Offshore also enters the annual Tall Ships Races and Mark sails as skipper on the boats during these events. Mark passed his RYA Examiners qualification in 2017, is a Senior Dinghy Instructor (advanced) and a RYA Powerboat Instructor. Tom has grown up on sailing boats and took the helm of a Wayfarer at 6 years old. He became a RYA Assistant Dinghy Instructor at 14. Full instructor at 16, working with Neptune Sailing and Alton Water. Tom then spent 7 years sailing in the Med at various locations as a Senior Dinghy/Windsurf Beach Manager for Mark Warner. Tom qualified as a Yachtmaster Offshore at 21 and in the same year qualified as a Powerboat instructor and RYA Cruising Instructor, and has worked at RYA Yacht centres in Malta, Croatia, Greece and the UK. Congratulation to Tom who recently passed his RYA Yachtmaster Instructor course in March 2018. He has extensive sailing experience sailing the Bay of Biscay at 13 years old and has since sailed most of Northern Europe including The Baltic, North Sea, English Channel, Atlantic, Mediterranean and has a sound knowledge of the East Coast. "Having spent 7 years abroad I am really looking forward to sailing with the Shearwater Team in home waters, bringing all my enthusiasm and experiences together to help people get the best out of our sail training and gain the same love of the marine environment that I have". Vernon has been addicted to sailing for over 30 years and is keen to share that passion and joy with students and crew! He believes that the most important ingredient is ‘fun’ – which he tries to inject into every course. He began his sailing career on Nicholson 55s in the Solent as a Royal Navy doctor. After doing the Fastnet race of 1983 he gained his Yachtmaster Ocean qualification and since then has been found sailing all over the world, from the Channel to the Caribbean, the Mediterranean to the Aegean, the Atlantic to Australia, sharing many of these adventures with Mark. He has previously worked with the Princes Trust in introducing underprivileged young adults to sailing, and is now working with the RYA as their deputy chairman. Using skills that he developed on his RYA yachtmaster instructor course and has since honed on his wife and two daughters, he is dedicated to making your trip an unforgettable and enthralling learning experience!